DSC02288, originally uploaded by Thoroughbred Ford. This was fun! 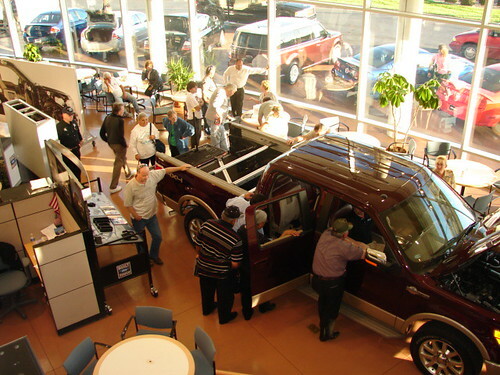 On October 2nd, Thoroughbred Ford had the new 2009 F-150 on the showroom floor for the pre-release. We had about 100 people show up during the evening. We had food, prizes and all sorts of information on the new trucks. It is an awesome truck.